Air Strikes against Syria: Who are the War Criminals? Who is Supporting Al Qaeda? Russia or America? America is coming to the rescue of Al Qaeda under a humanitarian mandate. The unspoken agenda is to undermine the Liberation of Aleppo. The pretext and justification for these actions are based on America’s “responsibility to protect” (R2P) the “moderates” in Aleppo from Syrian and Russian attacks and bombing raids. 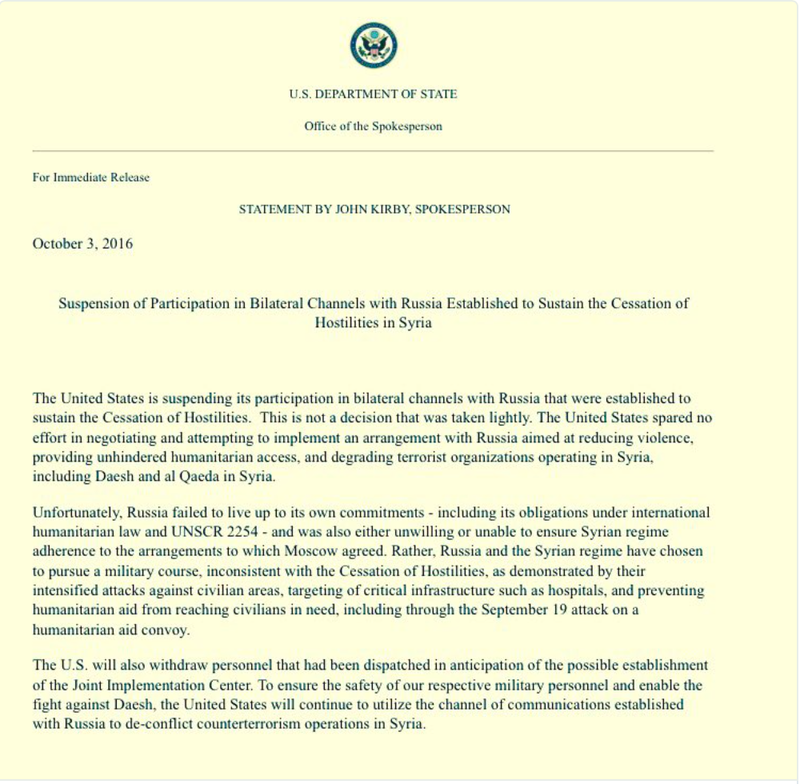 On October 3, the US State Department announced the suspension of bilateral relations with Russia pertaining to Syria (see document below), in response to which, France’s foreign Minister Jean Marc Ayrault was called upon to intermediate at the diplomatic level. 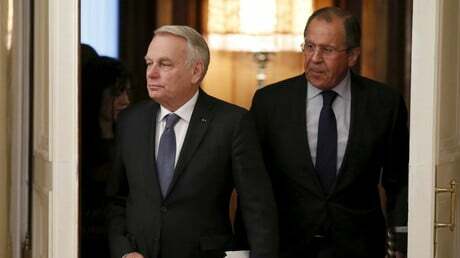 Pointing his finger at Russia’s Foreign Minister Sergei Lavrov, Jean Marc Ayrault casually accused Moscow of crimes against humanity, “La France est indignée” (France is indignant). In turn, the Western media (including segments of the “Left” alternative media) went into overdrive, accusing Russia of killing innocent civilians, demonizing president Putin;, and more significantly ignoring the devastating impacts of Obama’s (2014-2016) fake “counterterrorism campaign” implying extensive and routine bombings of both Syria and Iraq over a period of more than two years. 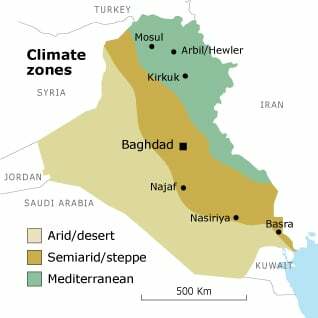 Initiated in Summer 2014, Operation Inherent Resolve’s real objective is to “protect the terrorists”. On October 5, a strategic meeting of the so-called Principals Committee (tantamount to a War Cabinet) met behind closed doors at the White House. In attendance: senior officials (Secretary level) from the Pentagon, CIA, Joint Chiefs of Staff, State Department and top national security advisors of the White House. On the agenda: a proposal earlier voiced by the US state Department to directly attack Syrian government forces and military facilities, inevitably implying the possibility of direct military confrontation with Russia as well as a process of escalation. While Russian airstrikes are carefully targeted against the terrorists, Moscow is accused of committing extensive war crimes as well as supporting the terrorist organizations sponsored by the Western military alliance. The media has built upon the humanitarian crisis triggered by Russian intervention against the [terrorist] “freedom fighters”. What the media has failed to investigate since the outset are US war crimes against the People of Syria and Iraq, which are amply confirmed by official US Department of Defense data. What we have witnessed is an ongoing drawn out campaign over the last two years of relentless air raids and bombings, and the terrorist enemy is apparently still intact. 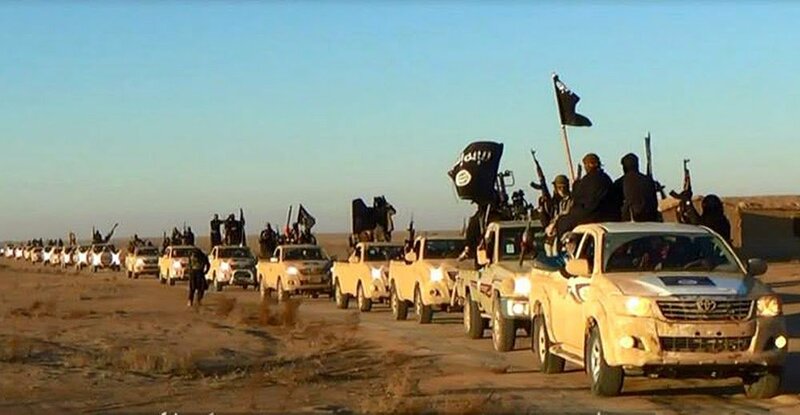 Let us examine the data regarding air strikes by the US and its coalition partners, all of which were allegedly directed against the ISIS-Daesh terrorists who crossed the desert from Syria into Iraq in their Toyota pickup trucks in June 2014. What would have been required from a military standpoint to wipe out the ISIS Daesh convoy with no effective anti-aircraft capabilities? 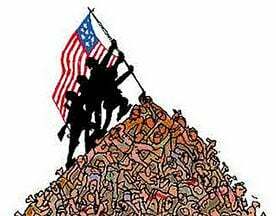 The total number of US and coalition sorties against Syria and Iraq is of the order of 111,000. This translates into an average of 147 sorties a day (over a period of 755 days). More than 8,300 strike sorties have been carried out against Syria according to US Department of Defense sources. The non-strike sorties have been used for the purposes of reconnaissance, logistics and coordination with terrorist commandos on the ground. 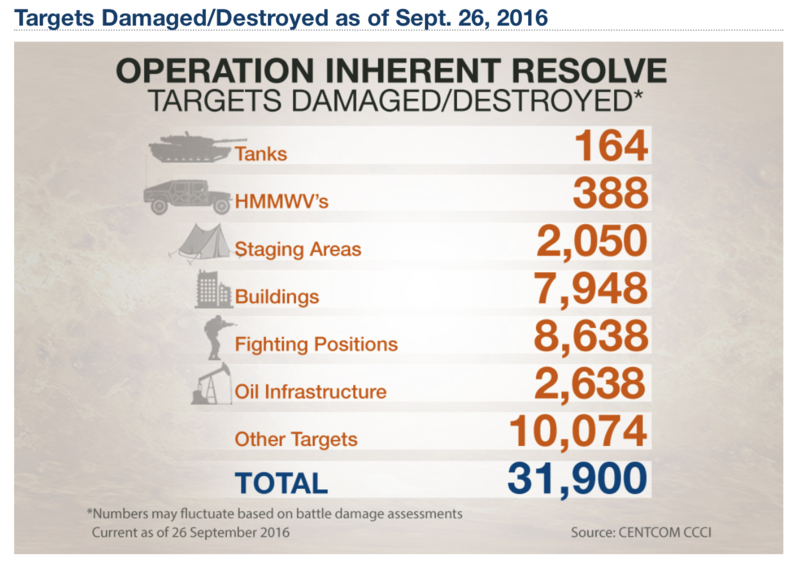 31,900 targets in Syria and Iraq have been hit by US war planes (see table below) including public buildings, residential areas, economic infrastructure (all of which was waged under a fake campaign against ISIS- Daesh). Its all for a good cause. None of these strikes were directed at the Syrian people, according to official statements. And these humanitarian statements have never been challenged by the Western media. The initiative was part of the “Global War on Terrorism”. It was in violation of international law. These are the costs of destroying an entire country, killing tens of thousands of Syrians, triggering a refugee crisis. These costs are ultimately financed by tax dollars. These 12.3 million dollars a day are the cost of destroying Syria and Iraq and killing their people. 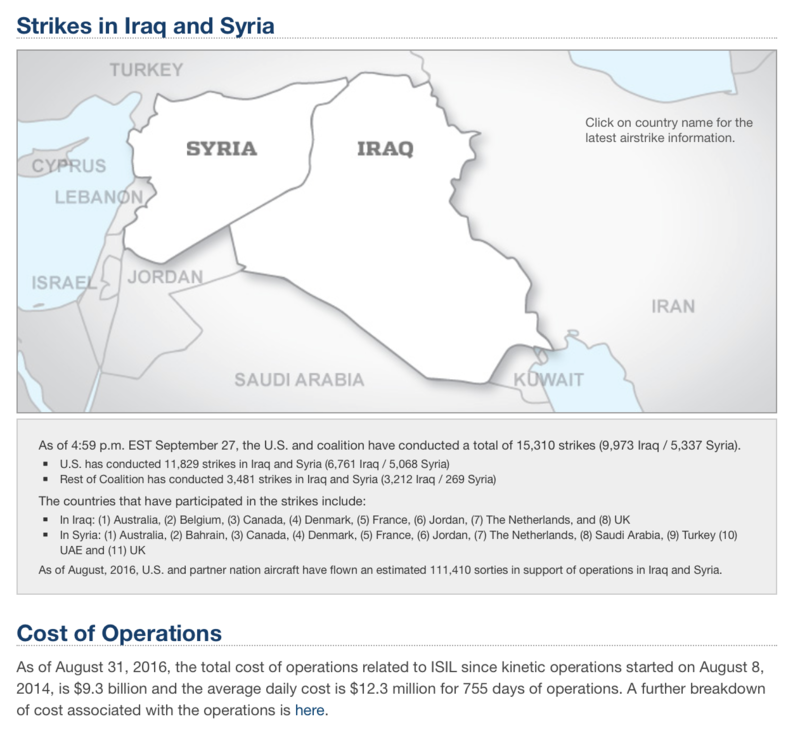 In the table above the “official” breakdown is provided, the figures refer to US strikes against Syria and Iraq. 31,900 targets as part of a war on terrorism. Ironically, the number of terrorists has increased dramatically as a result of the “counter-terrorism” campaign, not to mention the NATO sponsored international campaign of recruitment of terrorists. In turn, the US and its allies have since the outset of the conflict send in tens of thousands of tons of light weapons into Syria through illicit arms trafficking channels. These shipments of weapons are not conducted through internationally approved weapons transfers. While they are the result of a Pentagon (or US government) procurement, they are not recorded as “official” military aid. They use private traders and shipping companies within the realm of a thriving illicit trade in light weapons. Based on the examination of a single December 2015 Pentagon sponsored shipment of more than 990 tons, one can reasonably conclude that the amounts of light weapons in the hands of ”opposition” rebels inside Syria is substantial and exceedingly large.